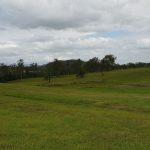 Find space for relaxed, country living on Kilcoy’s only town acreage estate. Each one-acre site boasts spectacular mountain views in a serene rural setting. You might even spot a wallaby or kangaroo from your window! 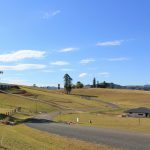 More than 3,500 contented Queenslander’s live in Kilcoy and the surrounding district, loved for its clean air and friendly, laid-back lifestyle. It’s the perfect place for a tree change. Mountain bike the Conondale Range, bushwalk through local state forests, camp on Lake Wivenhoe’s picturesque shores or waterski on Kilcoy’s own Lake Somerset. Boat ramps, fish cleaning facilities and picnic areas make lake visits easy. 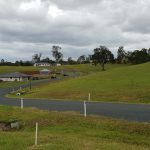 Kilcoy also boasts a complete range of health facilities, medical and allied health services. Another service offered by Pine Tree Hill is a link to a Professional Financial Broker that can help with all your questions relating to purchasing your new Home. Close to schools, shops and higher education, Pine Tree Hill makes living easy.